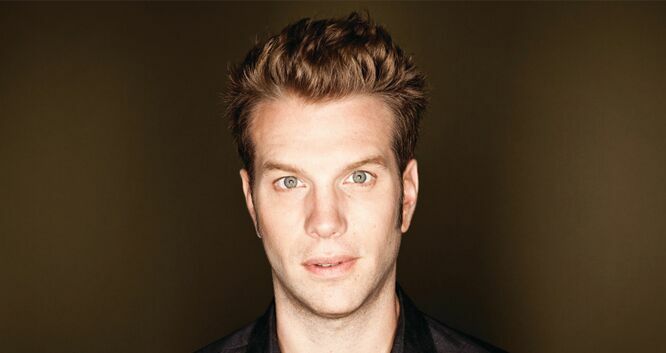 Anthony Jeselnik is a stand-up comedian from Pittsburgh, Pennsylvania. Anthony starred in and created THE JESELNIK OFFENSIVE, which ran for two seasons on Comedy Central. Anthony has written for and appeared on several roasts for Comedy Central, most notably THE ROAST OF DONALD TRUMP and THE ROAST OF CHARLIE SHEEN. He has performed on CONAN, THE TONIGHT SHOW, JIMMY KIMMEL LIVE and was the first ever stand-up comic to appear on LATE NIGHT WITH JIMMY FALLON. He has also written for LATE NIGHT WITH JIMMY FALLON and received an Emmy Nomination for his work on A NIGHT OF TOO MANY STARS: AN OVERBOOKED CONCERT FOR AUTISM EDUCATION. He was named one of Variety’s 10 Comics to Watch in 2008 and one of Comedy Central’s Hot Comics in 2009. In 2010, he released his debut comedy album, SHAKESPEARE, through Comedy Central Records. In 2013, he released CALIGULA, his first hour long special, to critical acclaim. He hosted season nine of NBC’s LAST COMIC STANDING alongside judges Norm Macdonald, Roseanne Barr and Keenen Ivory Wayans. Anthony received praise for his hour long special THOUGHTS AND PRAYERS, which was released by Netflix in 2015.